If you’re still using the phonebook to find local businesses than you’re in the minority. In this day and age, 85% of consumers turn to the internet when looking for a new business. While having correct information in the phonebook is great, having correct information across the web is what your business needs to get discovered and chosen by customers in our tech-savvy culture. 97% of all internet searches occur across Google, Bing, and Yahoo with a total of over 17 billion searches per month. Learn how your local business can start using your local listings to get more customers. The major three search engines use listings for small businesses in their search results. These search engines populate listings as accurately as possible from information found across the web. However, if you’re business has ever moved or had incorrect data online, your customers might be finding out-of-date or inaccurate information in their search results. If customers can’t find your address or phone number online, than they’re not spending their money with you, even if they want to. 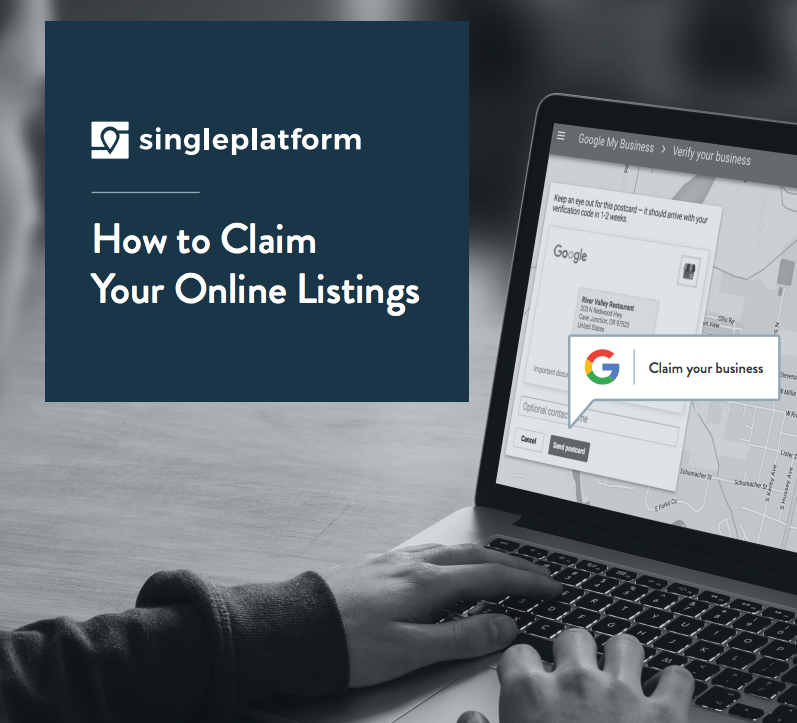 Local business owners need to take control of their online presence by claiming their online listings. The process is different for each site but we’ve created a step-by-step guide to help you start taking control today. You can update and maintain your local listings across the major three search engines yourself, but that’s only the beginning to your listing management. Sites like Yelp, YP, Facebook, and TripAdvisor also pull in millions of users each month and all of these users are looking for businesses like yours. If your information isn’t accurate and up-to-date where searchers are looking than instead of finding and choosing your business they are finding and choosing your competitors. With all of these sites popping up across the web how do you keep your information consistent and accurate everywhere? SinglePlatform is here to help. We are your connection to the top search engines, travel and review sites, online listing directories and mobile apps used by over 200 million people to find local businesses.